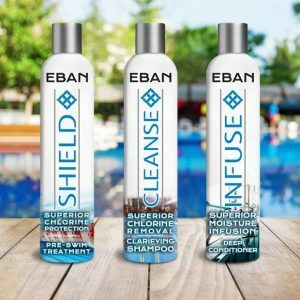 EBAN Cleanse & Infuse Complete Black Hair Care System is best for those who are active and want complete hair protection against chlorine, salt, breakage, dryness and product build-up. 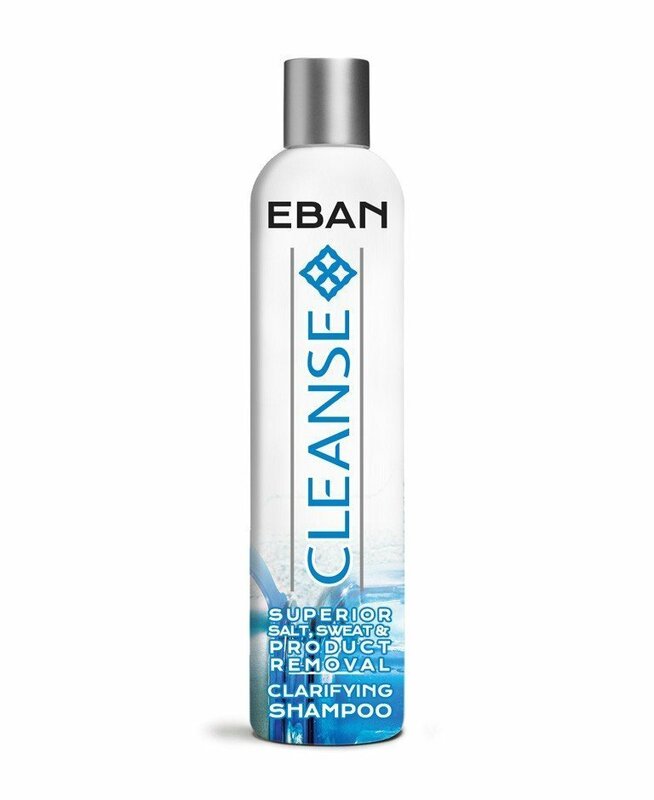 Best used as a chlorine and product build-up removal shampoo to re-condition dry and damaged hair. 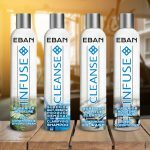 Our all natural clarifying formula combines a plant-based soap, Organic Pink Himalayan Salt and Organic Apple Cider Vinegar to gently cleanse the hair and scalp while restoring its natural pH balance. 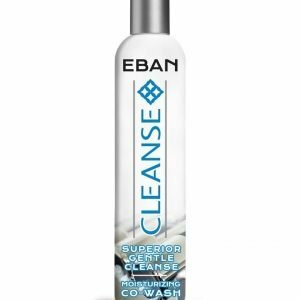 EBAN Cleanse Clarifying Shampoo removes chlorine, sea salt, product build-up and the green tint that results from regular exposure to chlorine. 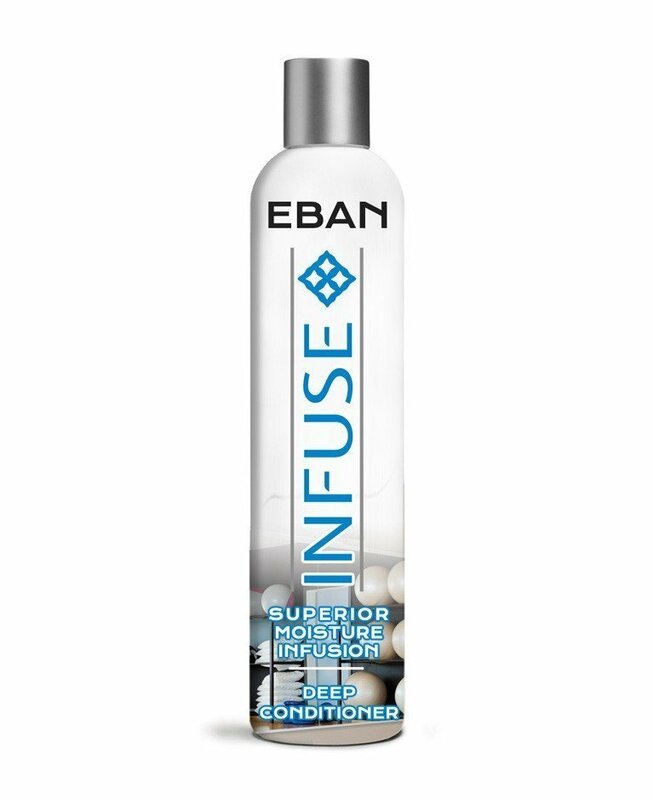 Best for removing sweat, salt, and product build up without stripping hair of natural moisture. For those who exercise regularly or sweat heavily. EBAN Cleanse Co-Wash is no-lather moisturizing cleansing cream to restore the natural pH balance of hair and scalp. 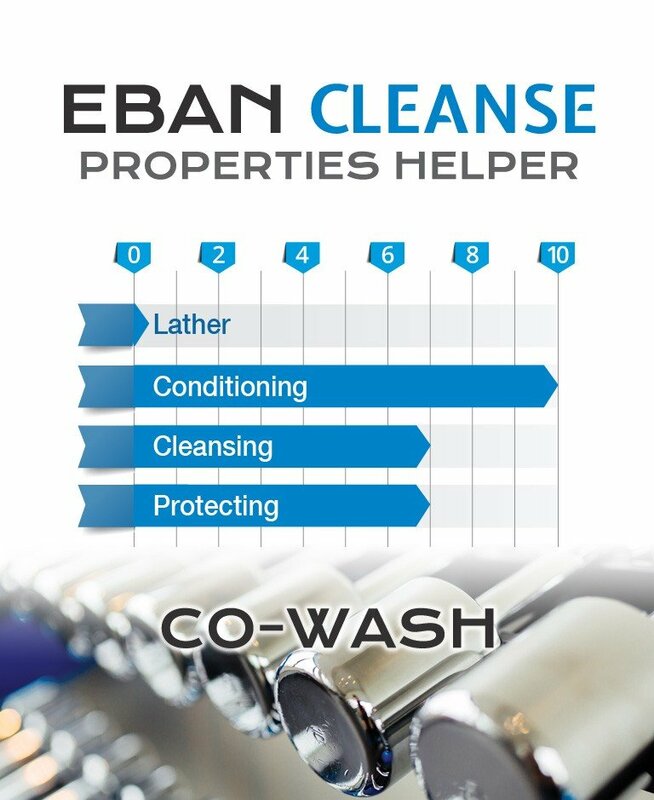 Combination of Coconut Oil, Aloe Vera and Apple Cider Vinegar gently washes away product build up and dirt. 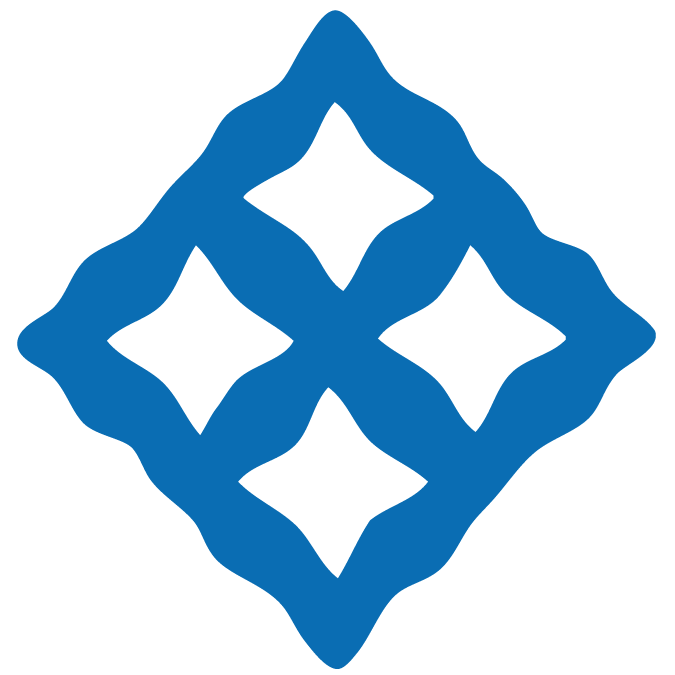 Healing Argan Oil reconditions dry and damaged hair. Best for those who wash their hair frequently. 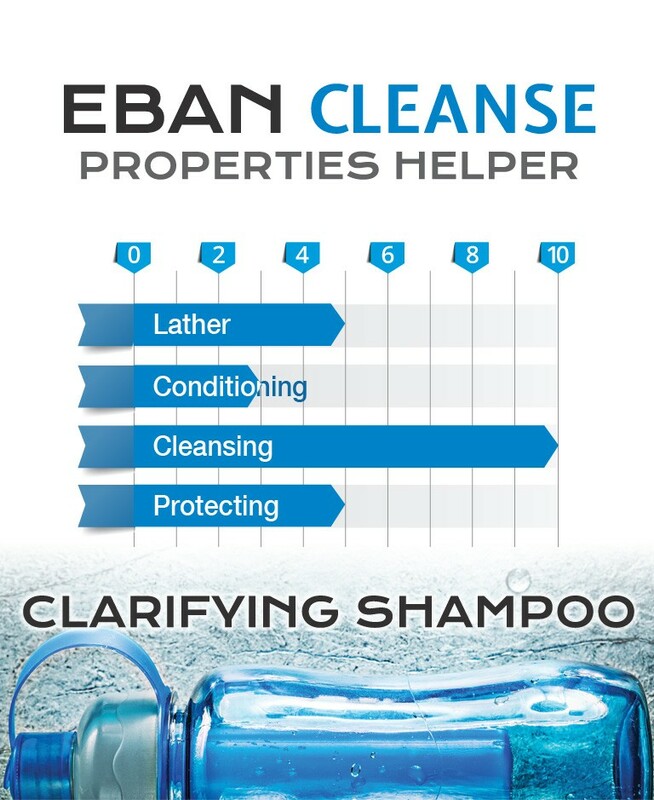 Best for use following a clarifying shampoo. Works on all hair types and textures, natural and chemically treated hair. 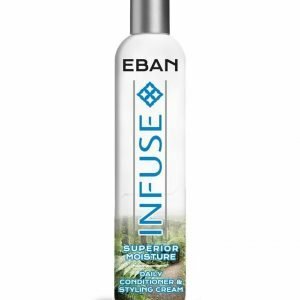 Best used as a daily moisturizer and conditioner. 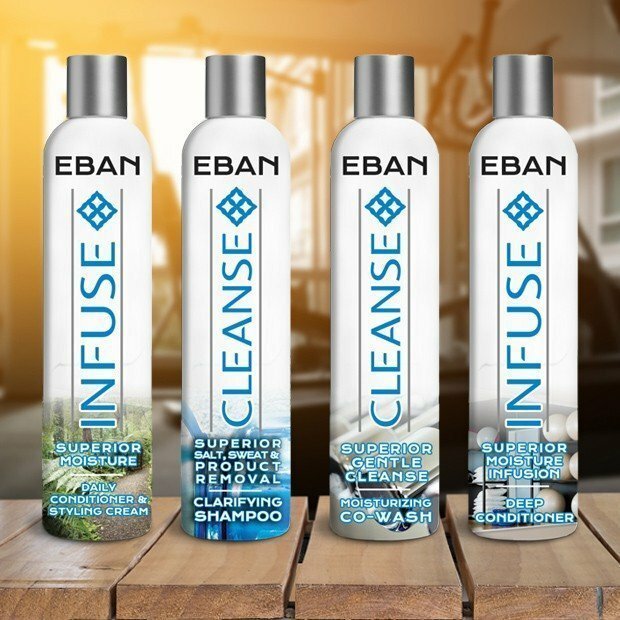 For all hair types and textures. 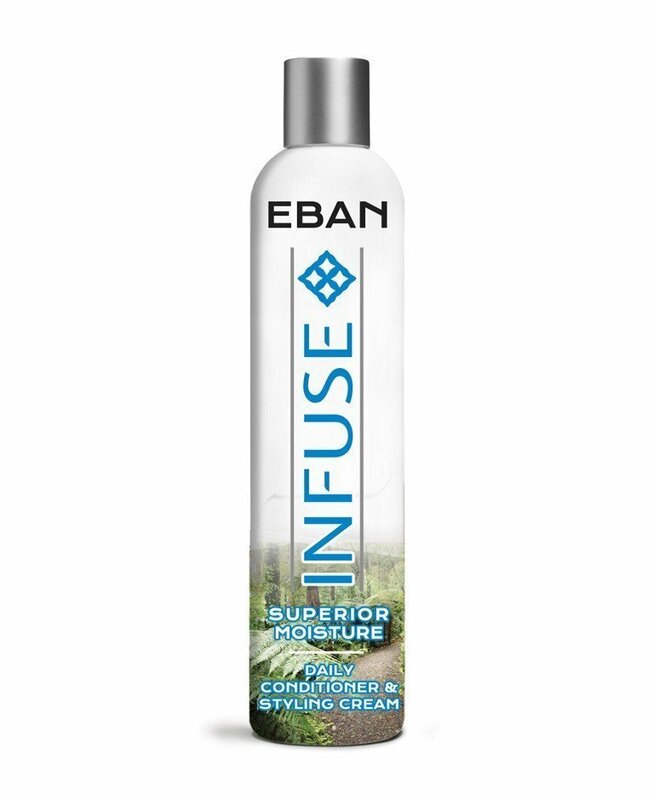 Reduces frizz and shrinkage, increases curl definition. 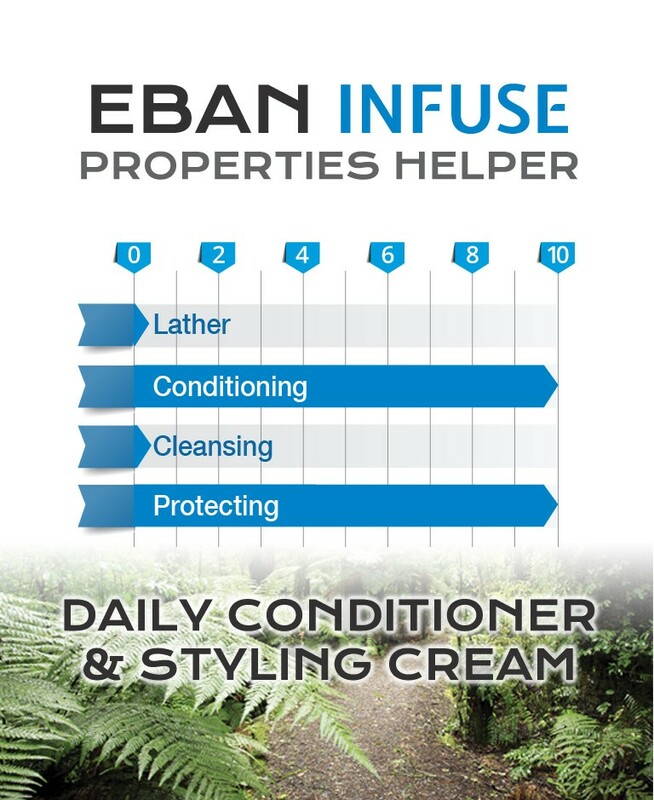 Our special combination of Nettle Leaf Oil, Vitamin E, and Royal Jelly repairs damaged hair. 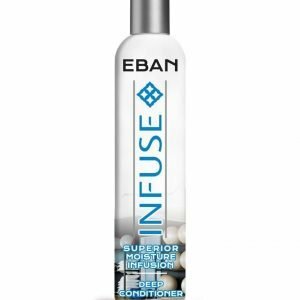 An all natural daily moisturizing treatment powered by Shea Butter, Coconut Oil, Argan Oil and Jojoba Oil promotes scalp health and hair growth. 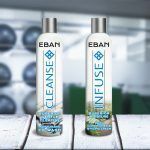 Together the EBAN Infuse & Cleanse Black hair care system provides a complete defense, during and after exercise, against all the rigors of working out. 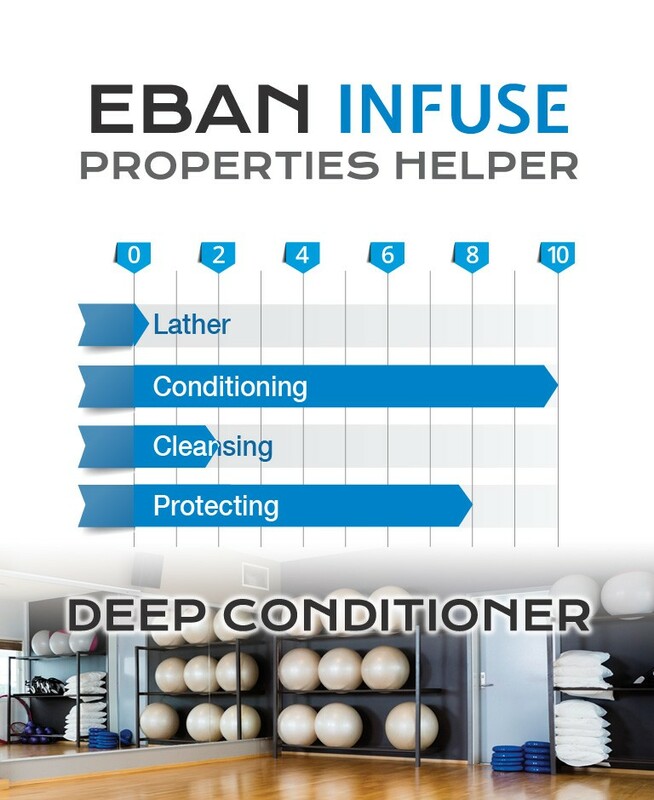 Take care of your body and your hair at the same time with EBAN.